What is Genetic engineering: Genetic engineering refers to the artificial synthesis of new genes and the subsequent alternations of genome of an organism. Genetic engineering came in limelight and has evoked public interest because of projections of someday being able to create such processes which have the ability to later life itself. 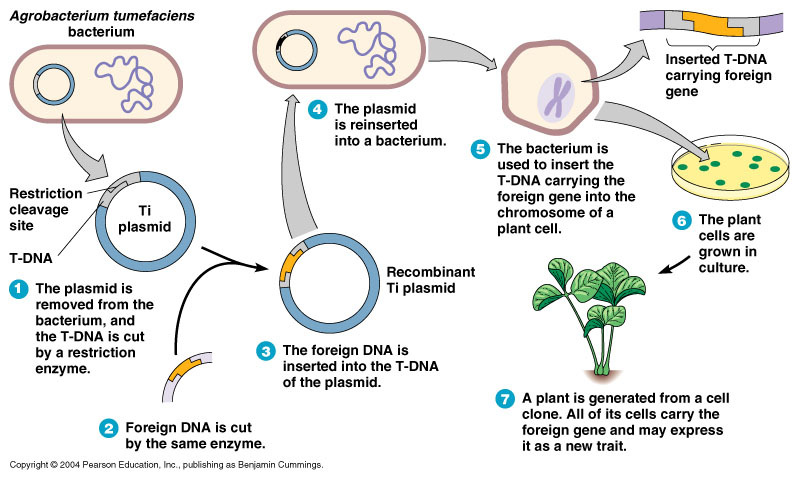 How Genetic engineering is achieved: The prime step in Genetic engineering is alternation of the genome which is DNA. DNA can be synthesised artificially. It is possible to synthesise desired DNA molecule in a test tube. Thus it becomes possible to create specific genes which may then be inserted into cells to cause transformation, creating possibilities of correcting mutations in these genes. This is applicable in amelioration of diseases caused by mutations in the genome. Applications of genetic engineering: Genetically Modified (GM) cells, experimental GM cell lines and GM animals such as mice or zebrafish are being used for research purposes, and genetically modified crops have been commercialized. Genetic engineering has applications in medicine, research, industry and agriculture and can be used on a wide range of plants, animals and microorganisms. In medicine, genetic engineering has been used to mass-produce insulin, human growth hormones, follistim (for treating infertility), human albumin, monoclonal antibodies, antihemophilic factors, vaccines, and many other drugs. In research, organisms are genetically engineered to discover the functions of certain genes. Industrial applications include transforming microorganisms such as bacteria or yeast, or insect mammalian cells with a gene coding for a useful protein. Mass quantities of the protein can be produced by growing the transformed organism in bioreactors using fermentation, then purifying the protein. Genetic engineering is also used in agriculture to create genetically-modified crops or genetically-modified organisms.